Young: I received an email from Tani, that’s all I know. Kurylas: Who’s running the show? We’ve gone down this path a few times. I even offered to help them out but received little to no response. Watson: They’ve continually had number problems, if they don’t have 30-35 players CIPP’d we shouldn’t even be talking about it. Kurylas: I think we should require that they start over and submit an application to the TRU. Basically treat them as a new club. Hughes: Agreed and we need to give them a deadline. Kolberg: Agree, they need to follow our process. This is pretty late to come to us and not be specific about it. We need to make sure there is a hard date that they have to follow as well. Young: I can do that, what if we give them a week? Dodge: Yes, I think you’d want to have it in before the TRU Board call next Monday. That’s really the first step to joining the union again. Kolberg: I think that is fair. Dodge: I believe below are the divisional alignments that we’ve discussed. Any discussion? Hughes: We may want to be aware that the Huns D1/D2 are playing in the North while there D3 are playing in the south. That could be an issue when scheduling the matches. Dodge: Same for San Antonio, when they have to go to Glendale, we should try to make sure their second side is off. Young: Same thing for the women, when the Valks I are out of the state, Valks II can be off. Dodge: Same as last year (6 matches), but we need to get the Lady Quins add’l high-level matches. I have a call into Jarvis on this. Play H&A for 4 matches, and H or A for 2 more, plus regional playoffs. Teams that played away portion of H or A last season should host H or A this season. Dodge: Confirming that since we’ve posted promotion/relegation there were no appeals. We can move into scheduling and divisional alignment. Dodge: This was also approved by the USA Rugby committees as well as by TRU and Mid-America. These three teams will move into the Mid-America Competitive region. The women’s side will continue to participate in the TRU; Tulsa women will CIPP at large as they look to rebuild this year. Dodge: As far as scheduling, Travis and Wendy are you spearheading the first round? Hughes: The main thing I need from the D2 rep is for them to reach out to the teams for blackout dates or special requests. I can handle the schedule then. Dodge: Karl, can you pick that up? Tolar: Yes, I can do that. Dodge: Travis, what is your timeline on this? Hughes: We usually try to shoot for August 1, sooner is better. My starting point is always the D1 schedule. If we can get that hammered out first then I can run with the rest of it. Last year Jeff did that and then I can finish up the men’s. Dodge: Great and Jeff can you make a special reach out to West Houston and San Antonio to make sure they have fields reserved and welcome them to the format, etc. We want to make sure any special issues get dealt with. Hughes: Are we doing all the MD1 in the spring? Dodge: I would discuss that with the D1 reps, with the increased number of matches (12) we may need a match or two in the fall. Also note that the men’s Gold Cup may be revived and that would only affect the Reds and Blacks. Jeff is on top of that. Young: For the women I usually wait for the Men’s D1 and try to match it up as we can. Dodge: This proposal isn’t going to happen this year but we do need to figure out something for the Harlequins. Otherwise they won’t have enough matches (need 6 matches). I put out a feeler out to Jarvis and haven’t heard back. Dale: Greg and I chatted and we felt that moving one of the top D2 teams up would work. Young: That would be the Reds and they don’t feel that they are quite ready for that. Dodge: We did get a waiver last year for the top D2 teams to play the Harlequins but then TUlsa didn’t fulfill that match. John, do you know how your team feels about traveling to pick up two friendlies? Dale: We did talk about that but nothing concrete has come up. Let me chat with Jarvis and the Quins. Dodge: If you need help reaching out to other CRs, just let us know. Young: Same thing, the women have done this for years on our own and I have lots of contacts as well. Dodge: Wendy, any sense on when his seat is up? Young: These are 1 year seats that auto-renew, so it runs with the CIPP cycle. Dodge: Ok, Wendy please send out an email for nominations. The nomination call is open until July 17, nominations announced on the 18th. Clubs can vote until July 27. Then we are hopefully seated by our next RRRC call on August 13. CMS – Teams data input is going to be due 48 hours from the match completing. We have one of the highest percentages in the country but we need to make sure our teams understand that CMS will be due within 48 hours. Young: The lock policy is a TRU procedure so I will put that on our agenda for next week. Limited exception to contiguous side (PROPOSED) – There has been a request for an exception to this rule for only one season. Example, if someone plays at a higher level for two matches they are done at the lower level. This would allow for a club to have a D1 and a D3 club. It would help create competitive balance and if you have a team that just isn’t ready for their second side to move up. 50% rules – This has been changed, this has moved from percentages to hard numbers. Example, a player plays 5 D1 matches they cannot play down any longer. Keuppens: Clarifying that this does not apply to frieldies? It only applies to cup matches? Kurylas: What about teams playing down in D2? Dodge: Yes, it is basically half of what the updated match mins are. Keuppens: What if a player plays in D1, D2 and D3? Dodge: You can always play up. Kurylas: Does that include playoff matches? Dodge: Yes, I think it does. They’ve treated the CR playoff matches as “league matches”. Normally you can’t transfer your CIPP for “rugby related reasons”. An exception has been proposed that if you move to try and make a pro team but don’t, you can transfer to a local club. I believe it’s two transfers that can be accepted. Player movement restrictions – Very much like the 50% rule, if someone plays in a Pro match, they can’t play D1. I believe it’s 3 Pro, no D1, 2 D1, no D3, 1 D2, no D3. Meant to balance player development and competition. Anti-doping rules – USOC has insisted that professional rugby abide by the anti-doping laws. There have been some concerns raised, if someone makes an accusation who bears the burden of proof? Keuppens: Bloodfest went well, Reds took Men’s RRRC with ARPTC Blue on the women’s side. TOLA saw Canadian Assassins (men) and the Austin Valkyries 2 (women) win. 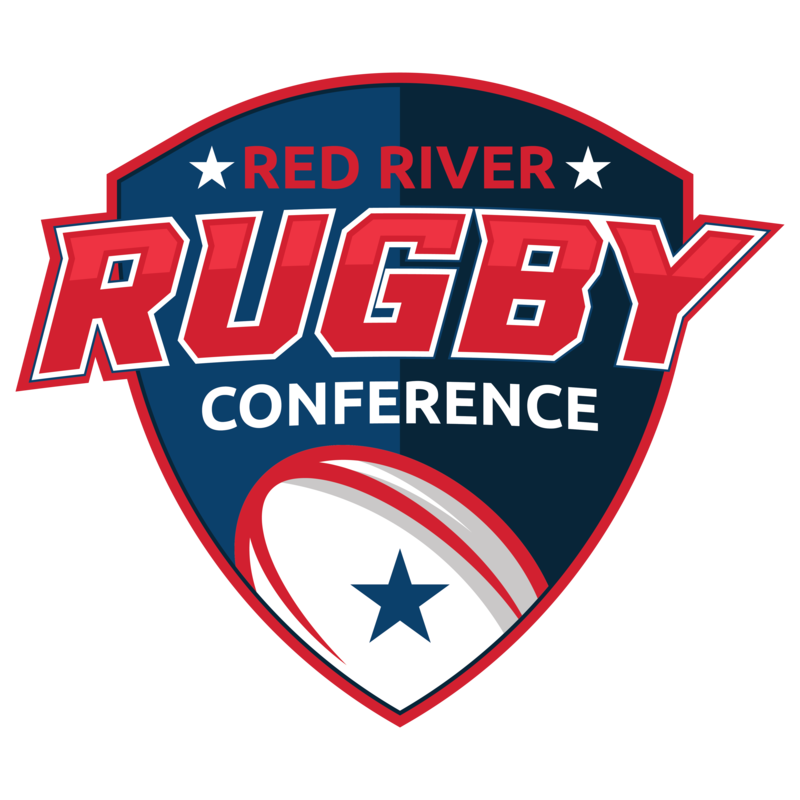 We have confirmed with USA Rugby that the RRRC men have lost a seed and will only have one seed. Fortunately the Dallas Reds traveled to the East Super Qualifier and received an automatic berth to USA Rugby Club 7s. This does mean that the other seed is up for grabs! On the women’s side, ARPTC has two teams this year (two separate registered clubs) and are eligible to send two teams if they win out. Doesn’t necessarily mean they will win as they have some competition on the way. Young: Oklahoma is looking good with 10 men’s teams and 6 teams for the women’s. There are a few social teams as well and it will be the first weekend of our hybrid RRRC/TOLA. Keuppens: Wendy, any update on fields? Young: We won’t be at the normal fields because football has first rights but we will be at the Oklahoma Intramural Fields and Rugby Oklahoma has support from Club Sports on lining the fields and having posts. Dodge: Any update on the USAR requirement that 7s clubs enroll? Keuppens: I imagine we have a few stragglers and we have to check manually with USAR. I imagine we will have to get a few waivers as the roll-out of this new process was poorly communicated. We’re crossing out T’s and dotting our I’s though, we’re requiring rosters from all teams (TOLA/RRRC) so that we are compliant for all tournaments this summer. Watson: Do you have any idea on how many college players take part in our series? Keuppens: No idea, there are plenty I’m sure. Watson: The reason I bring this up is there is a new organization that is stepping up to take over college in the USA. Any players participating in this new proposed league will not be CIPP’d with USA Rugby. Keuppens: I can tell you that this would be a huge blow to the level of competition for 7s. I would bet that every team has a few college players on their starting roster. Watson: Right, this is something in the works. The new organization is bringing sponsors, fundraising etc that USA Rugby can’t provide. If this proposed organization goes through, college players could potentially be playing for someone else. Keuppens: This is not good for the game. Watson: There are some major changes happening at USA Rugby Congress and I feel it is pertinent that our members know what is going on. I don’t want it to go on the website but rather directly to the club presidents. Our members need to know what is happening. Young: Great, please send what you’d like to distribute to Kirk and I and we will make sure it gets out. Dodge: Ron, if you will get what you are contemplating on sending out to Kirk and Wendy, it will be sent out. Ron: Ok, I will send it to you and Kirk this week. Hughes: This is something that has come up year after year; what if we included a playoff round before championships? The top 2 seeded first place teams would get a bye straight into the championship weekend and seeds 3 through 6 would play the wildcard round…with the higher seeded teams hosting the matches. Dodge: So adding two additional matches to the schedule. Hughes: Right and I know we are always concerned about adding matches with referee resources. Dodge: What about having our Championship weekend broken into two weekends? WIth Travis’ proposal that would be three weekends. Keuppens: I’d like to propose this for D2 and D3 as well. We tried it with D1 somewhat last year with Friday and Sunday matches and it still wasn’t enough. Maybe 1v2 prior to the Championship weekend. I think there is a player safety component to consider as wll. Dodge: I don’t think we’ll need it for Men’s D1 this year. I think this would work for D2, D3 and women’s. Young: It would also be interesting that we wouldn’t be able to stream those matches since they would be at many different locations. Hughes: It’s really two different issues, the issue with MD3 is that it’s three different brackets. There is some perceived bias if you have a weaker bracket vs a strong bracket. This has always been the issue for the MD3. Dodge: Can we sketch this out on a calendar so we could see how it would fit? Hughes: I can do that. The other thing we didn’t talk about was Sunday matches. Dodge: The TRU is looking at having MD4/WD3 in the fall, is that correct Wendy? Young: Yes, we surveyed the teams and it seems that most seem ok with a split or a fall schedule. Hughes: If we’re going to try and front load MD4 than we can include that in the schedule but we just need to know. Young: Yea, Travis, you may want to wait until the TRU figures out D4. Hughes: No problem, I have to wait until D1 is done. But we need to determine if we are having Sunday dates and if we are front loading matches in the fall. Young: I motion we adjourn.